The only surgical robot currently on the market costs about $1 million, but researchers are trying to create alternatives that cost about $250,000. 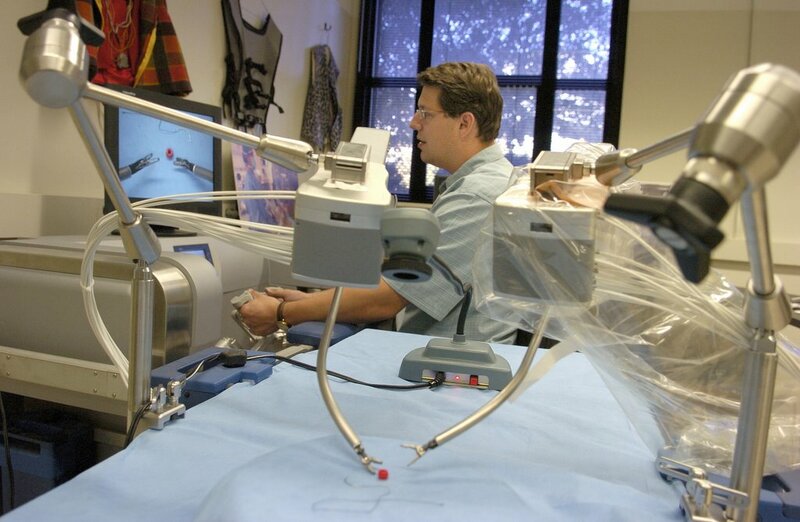 During robotic surgeries, the surgeon sits at a console and uses hand controls to direct robotic arms that move the probes, and a camera lets the surgeon see inside the body during the operation. The camera magnifies the view on a computer screen mounted on the console. The researchers also are trying to incorporate tactile sensors into the robots to enable surgeons to feel tissue and better diagnose medical conditions. "I think we have just touched the surface of robotic technologies for surgical assistance," said William Peine, an assistant professor of mechanical engineering at Purdue. "There is a huge amount of research and development that is going to happen in the future. The most complicated future roles will involve tactile feedback and image-guided surgery where you feed in information you have from CT scanners or ultrasounds or magnetic resonance imaging and the robot will accurately go to that particular part of the body and do whatever needs to be done." In the area of tactile sensors, researchers are working to create devices that can relay the sense of touch to surgeons, said Peine,who developed such a palpation instrument while he was a doctoral student at Harvard University. Peine helped form a company called Pressure Profile Systems, located in California, which develops and markets tactile medical devices.